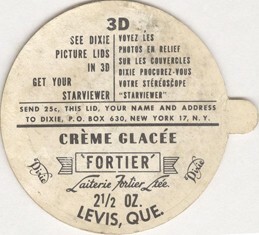 Right lid : Take 2 lids (same picture) place them in the "Stereo Starviewer" and see the 3D picture! 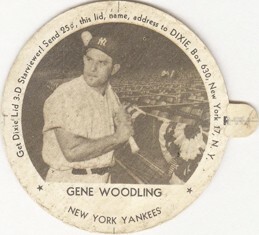 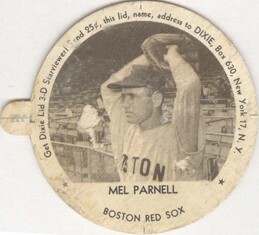 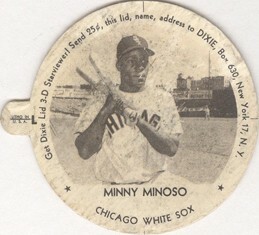 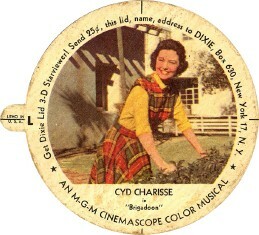 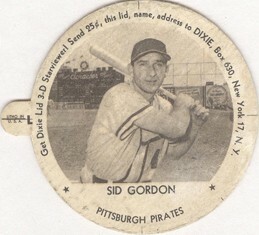 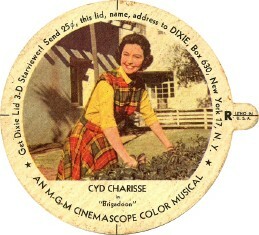 Before the Television and the Viewmaster we had the "Stereoscope". 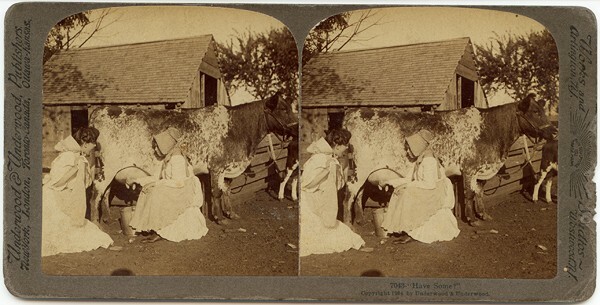 A stereograph picture was made of two photographs, pasted side by side, which had been taken from two nearly, but not exactly, the same perspective. 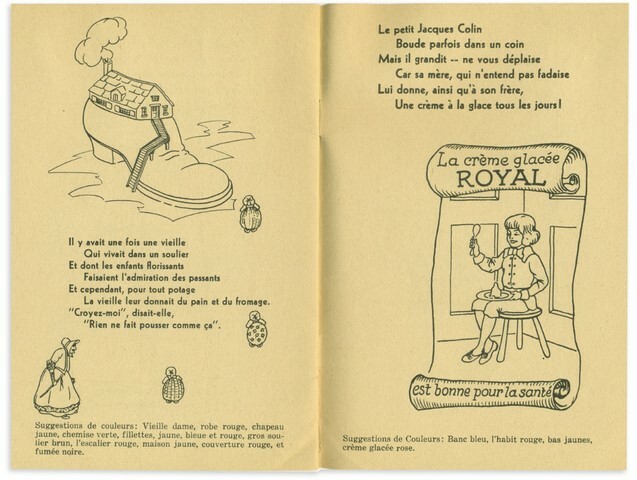 The stereoscopic viewer brought the eye to focus on the two pictures as one which presents objects to our brain in three dimensions. 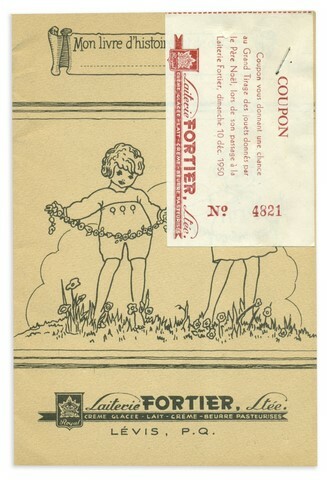 in a collection of 18 différent pictures. 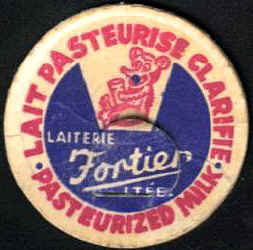 Situated on the first floor of a small house, the "Laiterie Fortier" was founded in 1919 by Mr. Edouard Fortier and by 1924 new equipment was installed and the second floor was used by the dairy. 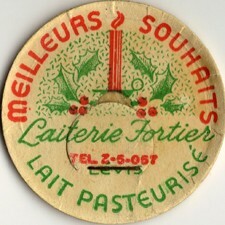 The dairy grew at a steady pace until 1930 with the arrival of the depression era. 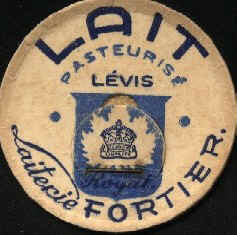 Between 1930 and 1934, the dairy encontered some hard times, and in order to survive, it had to make enormous sacrifices. 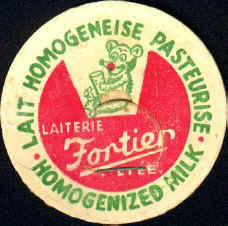 In 1935, the dairy was reorganised and operated under a new platform until 1937. 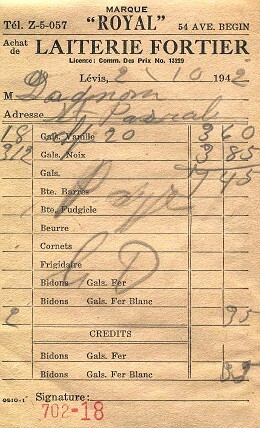 By then with the revenues still low, the management decided to sell all the company shares. 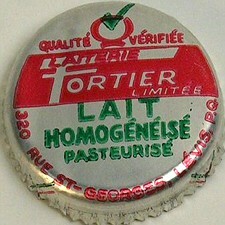 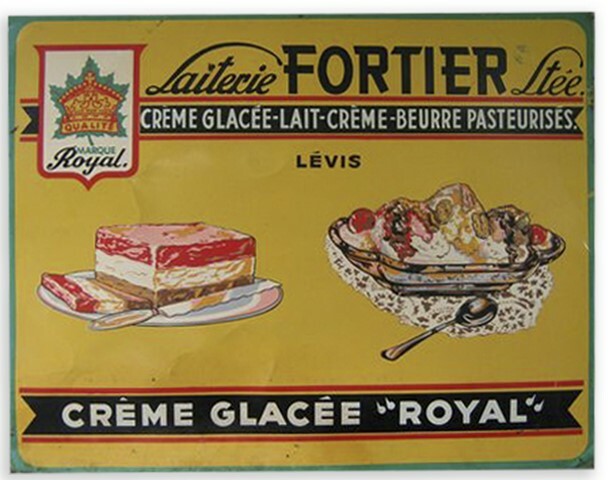 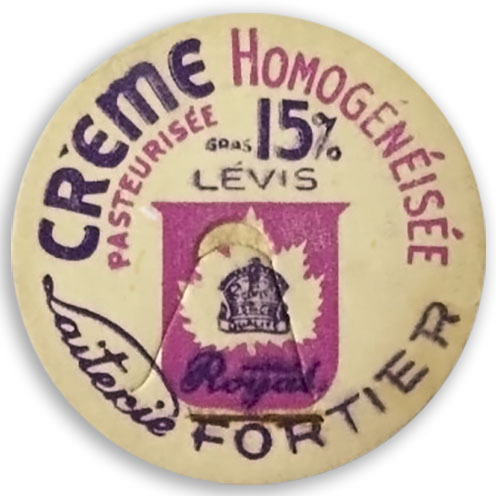 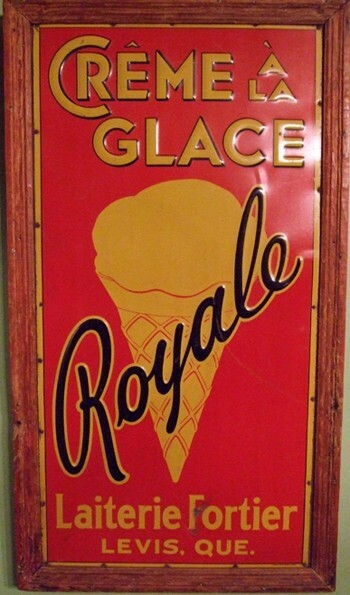 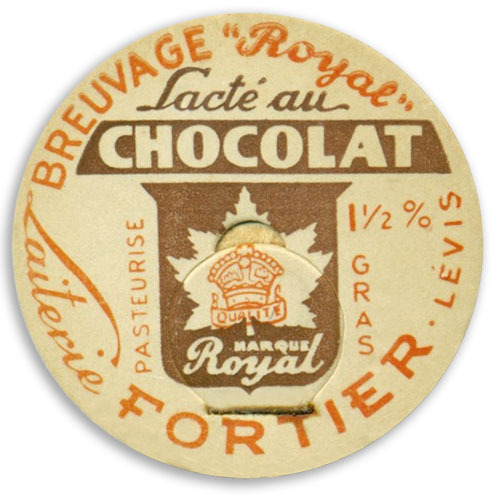 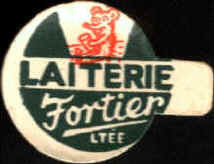 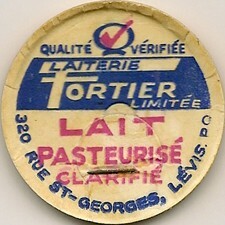 On june 27, 1937 Mr. Marcel Fortier, the founder's son, bought the dairy. 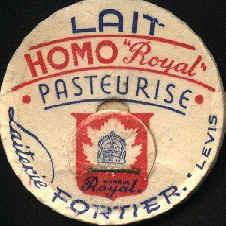 After a few years of difficulties, the dairy was able to take it's place on the market of Lévis. 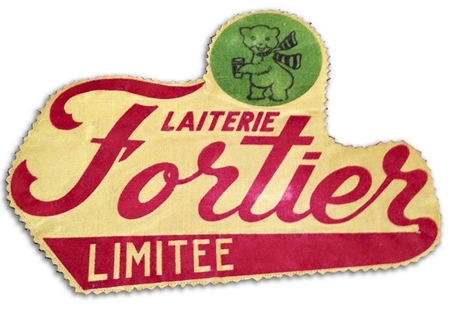 Badly needing new equipment and more space, Mr. Fortier was forced to expand; so a new building was erected in 1944, and by june 1st 1946, the dairy was in operation in this modern establishment. 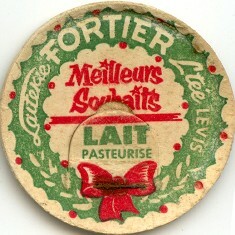 Later on the dairy has been sold to Laval Dairy from Quebec city. 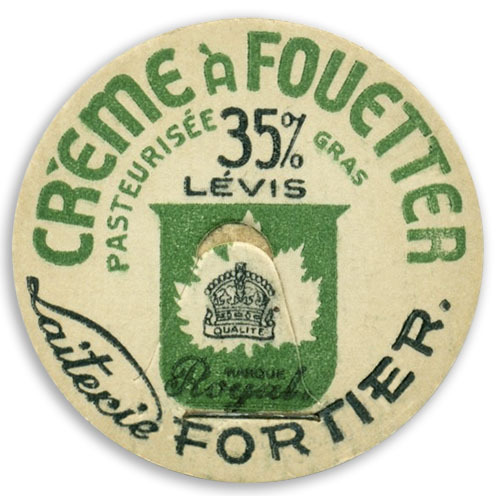 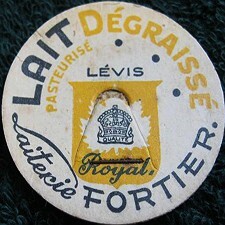 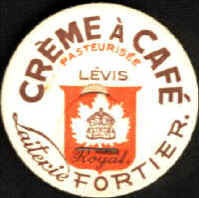 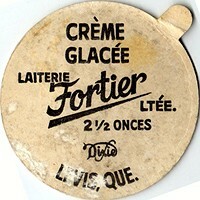 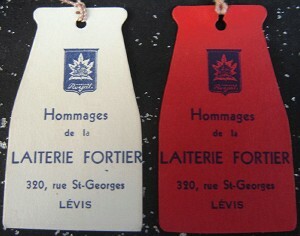 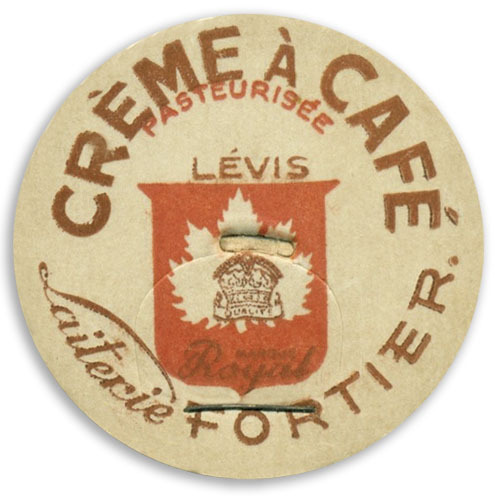 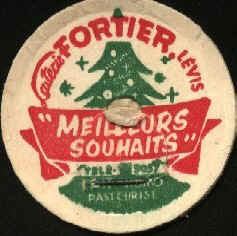 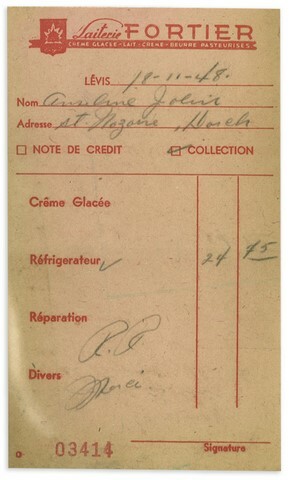 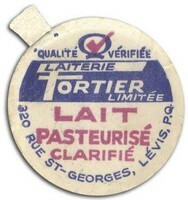 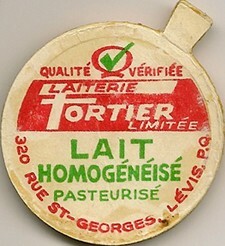 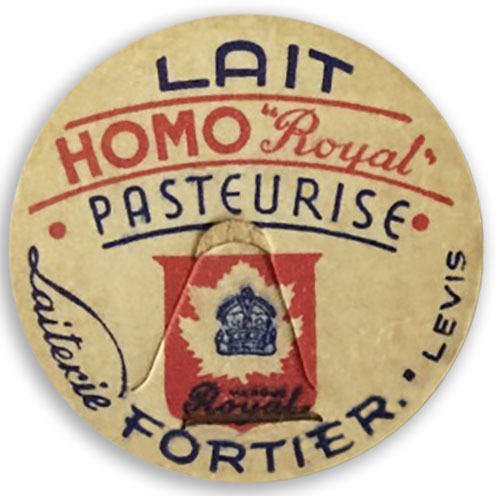 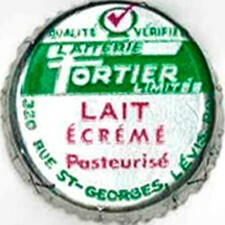 Mr. Côté worked 33 years at Fortier and Laval dairies. 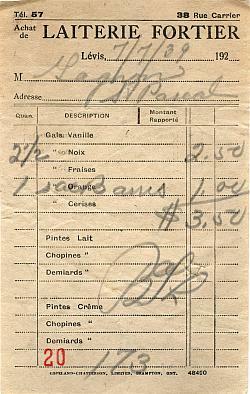 Mr. PAUL BLANCHETTE was delivering milk at the Fortier Dairy.